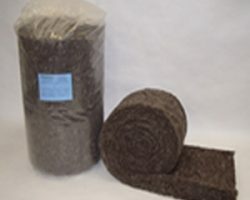 Sheep Wool Comfort Insulation Rolls are an Irish designed product and are suitable for use in floor and ceiling level applications and are available in a variety of convenient dimensions. 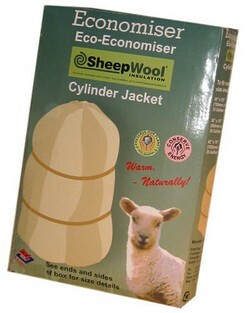 The only 100% naturally produced sheep’s wool insulation product on the market. It contains no Polyester, no binders and has been awarded the much coveted Nature Plus Seal and European Technical Approval. 100% Sheepwool will help to prevent a building from overheating during the summer and is irritant free and completely safe to use. The sheep wool range is made from 100% pure wool fibres and which ensures a superior thermal performance over glass or mineral wool products. The insulation rolls are made from a fully breathable material that will maintain its thermal efficiency even in the harshest climates. According to the Sustainable Energy Authority of Ireland (SEAI) it is estimated that 30-35% of home heat loss goes through the roof of a home and about 7-10% through floors. 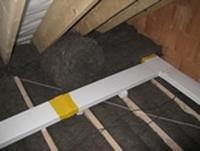 With energy rates on the rise it is essential to counter the price hike with proper insulation. Sheep Wool Insulation rolls are made from 100% Natural Sheep Wool, - they are safe to handle and install without special handling or protective equipment. They can be used on new builds or the rolls can be installed on top of existing glass or mineral wool, reducing the opportunity for their potentially hazardous particles to become airborne. Due to its high moisture content, wool does not support combustion and will extinguish itself in the event of fire when the source of flame is removed. It can absorb and break down indoor air pollutants, such as formaldehyde, nitrogen dioxide and sulphur dioxide thus providing a 'clean air' environment at all times. 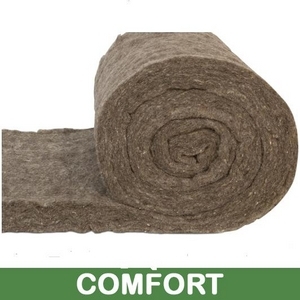 Sheep wool insulation rolls are the environmentally friendly, green way to insulate. It is a sustainable and renewable resource that will reduce your carbon footprint. 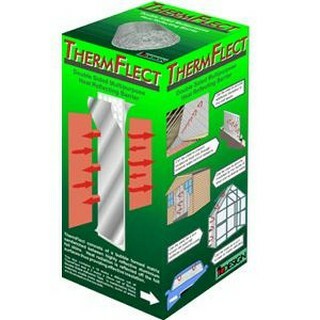 It also requires only a fraction of the energy to produce in comparison to other insulation materials. Produced in a thickness of 100mm and 150mm you will need less layers to meet modern building regulations which helps home-owners have eco friendly insulation at a competitive price. Different options with the Sheep Wool Insulation Rolls? 1: 100mm (thickness) x 380mm (width) x 4m (length). Covers 4.56sq meters. 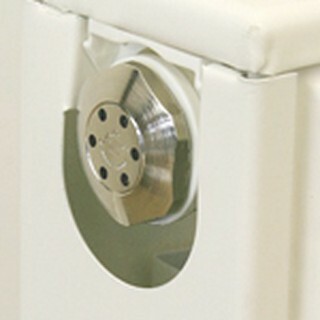 Suits standard joist centres 355mm - 400mm (14-16 Inches) Comes as 3 roll pack. 2: 150mm (thickness) x 380mm (width) x 3m (length). Covers 3.42sq meters. Suits standard joist centres 355mm - 400mm (14-16 Inch) Comes as 3 roll pack. 3: 100mm (thickness) x 570mm (width) x 4m (length). Covers 4.56sq meters. Suits joist centres 550mm - 600mm (22-24 Inch). Comes as a 2 roll pack. 4: 150mm (thickness) x 570mm (width) x 3m (length). Covers 3.42sq meters. Suits joist centres 550mm - 600mm (22-24 Inch). Comes as a 2 roll pack. 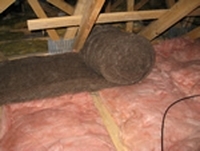 Sheep Wool Insulation Comfort is certified for use in attic (loft) floors, flat roofs and ceilings.